특허 재심 위원회 (the Board of Patent Appeals)와 저촉심사 (Interferences)에서 주관하는 재심 절차를 통해 특허 출원을 성공적으로 이끌었으며, 그의 재심 신청 중 70%는 위원회나 조사관들에 의해 성공적으로 번복판결을 받아낸 바 있습니다. Managed $35 million manufacturing facility for the development of platinum and tin catalysts, polysiloxane sealants and adhesives, mold making products, and release agents. Managed 40 people in the manufacture of rubber textile components and rubber processing technology. Cantor Colburn is pleased to announce that seven attorneys from its Hartford office were named to the 2017 list of Connecticut Super Lawyers and Rising Stars. Cantor Colburn is pleased to announce that four attorneys from its Hartford office were recently named to the 2016 list of Connecticut Super Lawyers and Rising Stars lists. Andrew C. Ryan, Partner and Chair of the Post-Grant Practice Group, was selected as a Super Lawyer for Intellectual Property Litigation and Michelle Ciotola, partner and Vice Chair of the Trademark & Copyright Department, David Rodrigues, Ph.D., Partner, and Alicia Hayter, Associate, were all recognized as Super Lawyers Rising Stars in Intellectual Property. Houston Intellectual Property Law Association and the University of Houston Law Center Institute for Intellectual Property & Information Law present the Fall Institute of Intellectual Property Law 2018 on September 27, 2018. 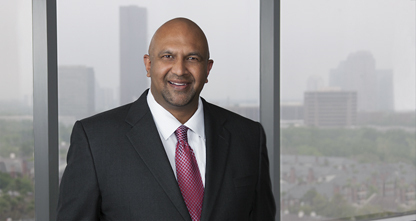 Cantor Colburn is sponsoring The IP Strategy Summit: Houston on May 12, where Co-Managing Partner Philmore Colburn II will be a featured speaker. Presenters: Steven Coyle, Anne Maxwell, Ph.D., David Rodrigues, Ph.D.